From its navigation methods to fonts, Android is redesigned and refreshed in its Ice Cream Sandwich edition to meet the tastes of its users. 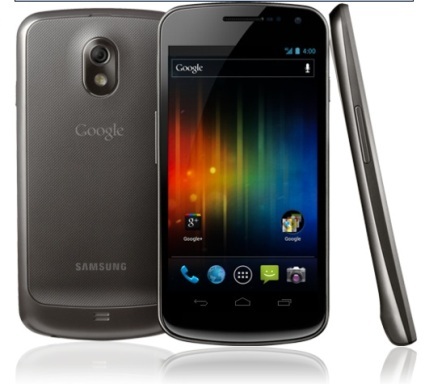 Google introduced the update to Honeycomb and Gingerbread Tuesday night alongside Samsung’s debut of the Galaxy Nexus. The Android 4.0 lockscreen closely resembles the one found on Android Honeycomb tablets: a lock icon, surrounded by a circle, which you flick outward to unlock the phone. Home screens behave the same way as they currently do on Android (swipe left or right to navigate, open an app drawer, retrieve widgets, and so on) except you now get a customizable “favourites tray” that resembles the dock in iOS. Because the Galaxy Nexus lacks physical navigation buttons, the Back, Home, and Recent Apps icons are located at the bottom of the screen and lit up when touched. Google gave no word on how ICS will work on older phones with physical nav buttons, but future phones running Android 4.0 may lack them as well. Related Story | Can’t figure out which Android phone to choose? The app drawer is updated to look more like the one in Honeycomb and you now scroll through apps by swiping left or right. Widgets have their own tab in the app drawer to make them easier to find. They look and work like the ones we have seen on Honeycomb, and are resizeable so you can fit them wherever you feel like. Taking another leaf out of Apple’s book, Android 4.0 lets you create folders by dragging one app onto another. Apps can be rearranged in folders by dragging them around and folders can be renamed to your liking. If you tap the Recent Apps icon at the bottom right of the screen, a scrollable list of running apps pops up — each with a thumbnail image of that application. You can close a particular app by flicking it away. The flicking gesture command is accepted throughout Android Ice Cream Sandwich, and is also used to dismiss specific notifications in the Notification Tray. Besides accepting gestures, the Notification Tray displays photos and supports music controls, so you don’t have to go into a specific app in order to skip a song or pause your music. The Notification Tray is now accessible without having to unlock your phone. Just drag down the tray from the lockscreen and you can quickly jump to new text messages or e-mail messages by tapping on a notification. I like the fact that you can quickly get into apps without having to unlock the phone first, but I hope Google puts a security measure in place so that not just anyone can access your private communications. Speaking of security, in Android 4.0 your face can be used to unlock your phone. Ice Cream Sandwich and the Galaxy Nexus support facial recognition, so the phone can be set to unlock only if it recognizes your face. When demoed on stage, the phone failed to recognize its owner and defaulted back to the traditional pattern unlock screen. Let’s hope the Android team gets the kinks worked out before launch, and that other phone manufacturers support this feature in future handsets. All the core Android apps are getting a facelift and new features, though only the Browser, Calender, and Gmail were explicitly detailed at the introduction event. The Browser now supports incognito mode and your bookmarks from the Chrome browser on desktop are now synced to the Browser in ICS. Google adds support for tabbed browsing, and you can quickly view which tabs are open, each with a live preview of that page. As with the notifications and Recent Apps list, you can quickly close tabs by flicking them away. The biggest update to the Browser has to be the capability to save pages for offline reading. You can save web pages exactly as they are, and access them even when you don’t have a data connection. This is great for people who find an interesting article they want to read, but are going to be in an area with little to no data coverage. Gmail also received a substantial update and is now much faster to use, thanks to the new Action Bar at the bottom of the screen. The bar is context-sensitive and changes depending on where you are in Gmail. For example, when viewing your inbox you the Action Bar has options for composing a new message, searching for a specific message, and so on. However, once you select one or more e-mail messages, the Action Bar buttons change and offer options to Delete, Archive, or Move those selected messages. A new preview pane allows you to preview messages without having to open them, and you can now search through the last 30 days of your e-mail offline. It’s unclear whether these updates are exclusive to the ICS Gmail app, or if the Gmail app on older Android devices will be updated to support these features as well. The Calendar was mentioned only briefly, but you can now pinch to zoom in on your calendar events to see more details about specific events or you can zoom out to see all your events for that day. It’s pretty cool, and beats tapping each event individually to find out more about it. Maps, Music, and other core apps were updated as well but weren’t demonstrated. Yes, the Android keyboard is updated for better text predictions, but the show-stealer was definitely the improvements that were made to the speech-to-text software. Previously, in order to dictate a text message or other text field, you had to manually press the voice command key on the keyboard to activate it. Now, you simply start talking to your phone and the software activates automatically. While it’s not exactly on the level of Siri, this is huge for people who use their phones while driving, since it no longer requires them to fuss with their phones to activate the dictation software. Cut and Paste is improved upon even further as well. Now you can drag selected text to the position you want, and the controls for cutting and pasting text are more consistent throughout the operating system. The camera on the Galaxy Nexus has zero shutter lag — and demonstrators proved it by rapidly taking a series of photos just seconds apart. We still aren’t sure if that is a feature of Android 4.0 or if it’s exclusive to the Galaxy Nexus, but it was impressive nonetheless. Once you snap a photo, you can quickly share it by tapping on it. A list of applications you could use to share the photo will pop up, and you can quickly select where you’d like to send the photo. If the photo could use a touch-up, ICS provides an impressive array of photo editing tools. These include various filters (which were lovingly described as “hipster”), the capability to adjust the image angle, red eye removal, cropping capabilities, and a few others that were not discussed. Any edits you make to a photo will create a copy, in case you ever want to go back to the original. ICS also comes with a simple-to-use panorama mode. You just set the mode to panoramic, then take the first picture. A slider at the bottom of the screen guides you so you know when to move the phone, and you can preview the image as the device stitches the pictures together. I would expect to see way more panoramic pictures on Facebook and Twitter once Android 4.0 launches. Video recording gains continuous focus as well as support for time-lapse and video snapshots. Like with the Notification Tray, you can quickly access the phone camera from the phone lockscreen by flicking the lock icon to the left. A small camera icon pops up and you can launch straight into the Camera app. The Contacts app is revamped as the new People app. The People app functions in the same way as the Contacts app found in Android 2.x, but it changes contact cards to show much more information at a glance. Nice big photos replace the tiny thumbnails, and you can quickly see a contact’s recent photos or status updates. If that person is your friend on a social network, that data is automatically pulled so you can easily see their latest Tweet without having to open the Twitter app. Though described as an evolution of the current Contacts app, this felt more like a fine-tuning than a sensational leap forward. The Dialer also has a few tweaks here and there. You can now retrieve voice mails from inside the call log, and can speed up or slow down their playback. Those nice big photos in the People app take up the entire screen whenever someone calls you, and you can send a Quick Response to anyone whose call you decline. Quick Responses are customizable canned text message responses that you can send to a caller to explain why you declined their call. It’s pretty neat, and I can see myself using them on people I want to avoid. Google is really pushing Near Field Communications with its Google Wallet app, and Android Beam in Ice Cream Sandwich is just another reason to own an NFC-equipped phone. With Android Beam, you can share any contacts or content between two Android devices just by tapping them together. You can share webpages, maps, and even apps. It’s handy if you want to give your friends directions or want to share an article you found while browsing the web. Google mentioned tighter Google+ integration in Ice Cream Sandwich, but didn’t really demo anything. Representatives did, however, bring up the subject of data caps, and described a way for to better manage data usage. By going to Settings>Data Usage, you can see a chart of how much data you have used that month as well as an estimate of your expected usage. You can also set limits and alerts so that you know exactly when you exceed your data limit, so you don’t get hit with overages. You can also select specific sections of the chart to see which apps used the most data that day. The phone will show you a breakdown of how much data that app uses, and allow you to restrict the app so that it uses data only when you want it to. This is a huge step in giving users more control over their phones, and should help save people the headache of accidentally exceeding data limits. Android 4.0 adds a handful of new live wallpapers as well as a new font aptly titled “Roboto.” The live wallpapers were kind of neat, but Roboto was interesting because it is designed to be used on high-density displays. Since Ice Cream Sandwich natively supports 1280-by-720-pixel displays, let’s hope it gets used a whole lot more often. Barometer support is also added, although its use is unclear. The first Ice Cream Sandwich equipped phone will be the Nexus Galaxy, which launches in November, but the SDK is available for developers now on the Android.com Web site. Now we wait to find out which phones are getting a tasty Ice Cream Sandwich update.